Owning a commercial premise that serves food is a dirty business. Grease and grime and food spills are an everyday occurrence. So should be your cleaning routine! But daily cleaning cannot get rid of thick grease and grime. This is why you should use a Bristol commercial cleaning team for the job. You will save time and the reputation of your establishment. All food outlets in the UK need to abide by stringent health and safety standards. Spot checks are the norm, and if you fail to pass an exhibition, you will be given only a short period of time to get your kitchen up to scratch. There are many things you can do to ensure your kitchen is hygienic, many of which you will learn when you take a health and safety certification course. So, what are you doing wrong and how do you put things right? 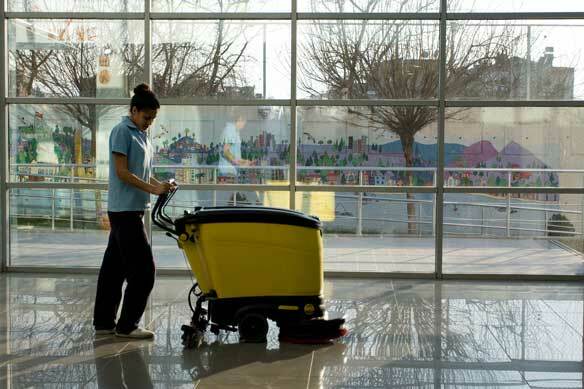 Your local Bristol commercial cleaning experts will not visit you every day. What this means is that you need to keep on top of your cleaning on a day to day business. Degreasing of equipment should be left to the experts; you will only waste hours trying to get chip fat out of your extractor fans. Your day to day cleaning routine doesn’t need much elbow grease. What it does need is common sense. Firstly, all bins should be emptied at the end of the day, regardless of if they are full or not. Your outdoor bins should be a distance away from the back door your premise and they should never be allowed to overflow. Your wheeley bins should shut completely. If not, they will become a haven for vermin. Rats love to live in the back alleys behind restaurants. They seek out food spills and bins that are left open. Chucking black bin bags out of the back door at closing time is a big no-no. By morning they will have been opened and destroyed by cats, rats, mice, and any other opportunist animal that has been passing by. As tired as you may be at the end of the day, always pick up food that is spilled outside and wash your external floor with a few buckets of water. At the end of the day, wipe around all surfaces and inside your fridges. The same should apply if your commercial build is an office setup. You will have learned not to mix raw and cooked foods in fridges, and what goes on each shelf. You learned these things for a reason. So, don’t ignore the rules! Clean spills up as soon as they occur, and never leave dirty dishcloths in the sink. Disposable paper towels are a must in commercial kitchens. You should not have any normal towel or sponges at all; these only habour germs. Any cloths you have should be soaked overnight with detergent. Lastly, avoid using harsh chemical cleaners. Chemicals damage the environment and your Bristol commercial cleaning team will only use eco-friendly cleaning products. Want to know how it is possible to cut through grease and grime with green cleaning products? Contact Choice Cleaning Company in Bristol today and we will show you how it’s done.